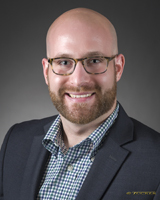 DRI Welcomes Jason Toth, Project Manager for Healthcare IT Practice Area - Direct Recruiters Inc.
Jason Toth serves as a Project Manager for the Healthcare IT Practice of DRI. He works closely with Mike Silverstein to grow this area through market research, candidate placement, and new business development. Jason started his career with Target Corp. working in Store Operations Management. Through Target’s Leadership Development Program, he grew a passion for identifying, and developing talent to build strong teams. From Target, he moved to Houston, Texas and joined Creative Retail Packaging Inc. (CRP) as an Account Executive where he helped his clients build custom packaging programs. At CRP he refined and developed his consultative style; this style combined with his personable approach has enabled him to develop strong long lasting relationships. Jason graduated from Miami University of Ohio with a B.S. in Supply Chain and Operations Management. He currently lives in Cleveland and enjoys spending time with family and friends, playing dodgeball (yes he is in a league), enjoying the local coffee shops, or watching something awesome on Netflix.